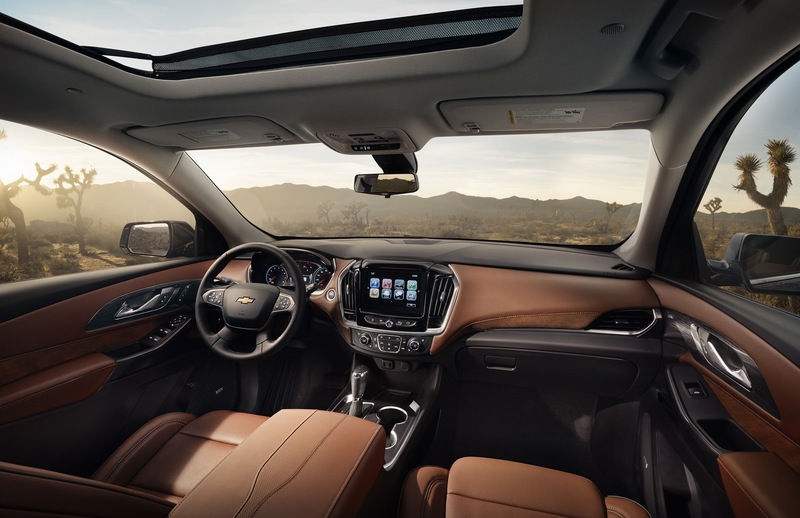 After nearly 10 years on the market, Chevrolet has given its full-size crossover a major rehaul. 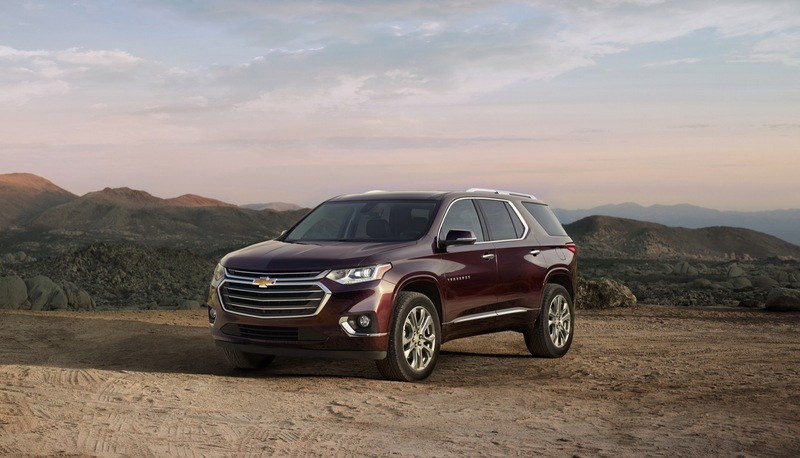 This is the 2018 Chevrolet Traverse. 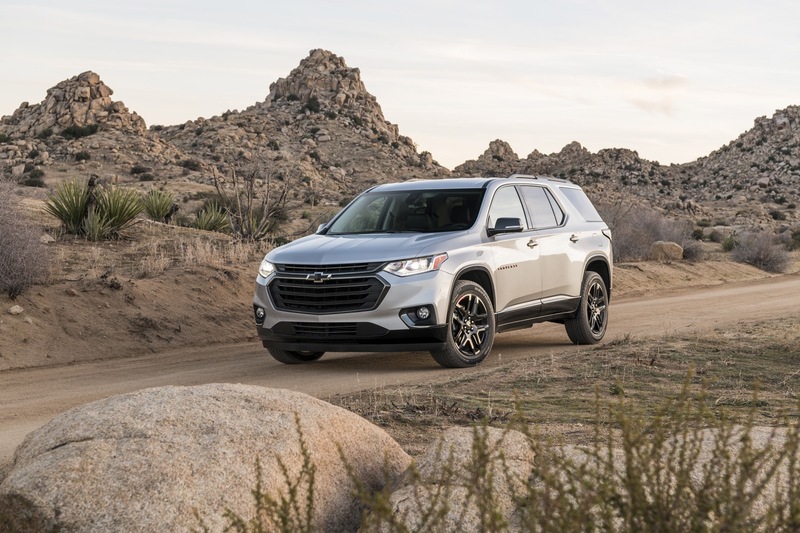 Moving from its mid-2000s Lambda platform bones to General Motors’ latest C1XX platform, the 2018 Traverse channels its inner 2018 Equinox when it comes to the exterior styling. 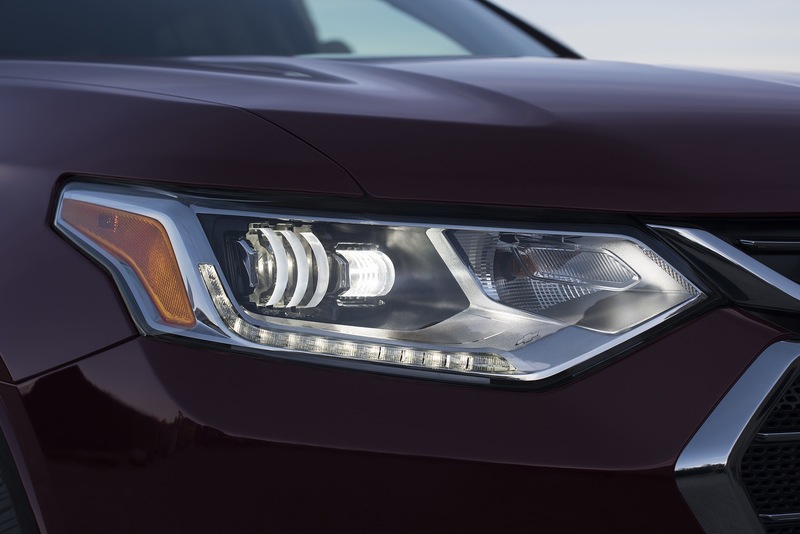 Up front, the grille is larger with chrome accents and LED signature lighting. 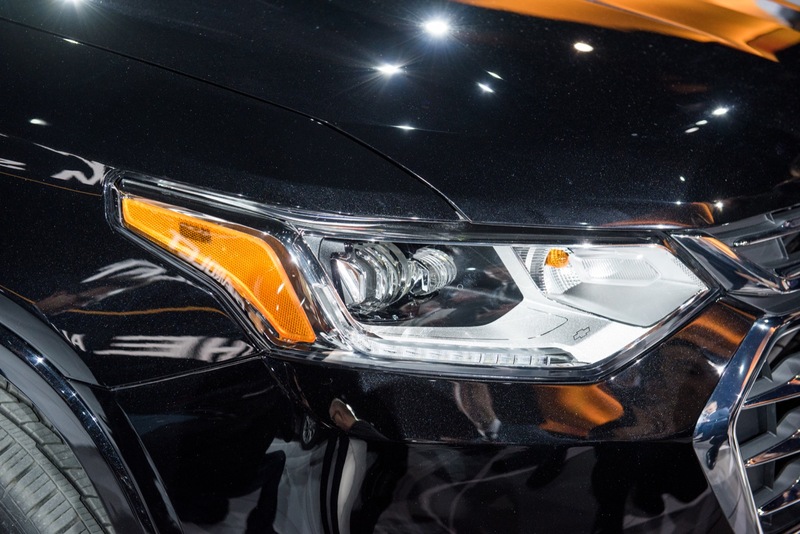 D-Optic LED headlamps are also optional equipment. 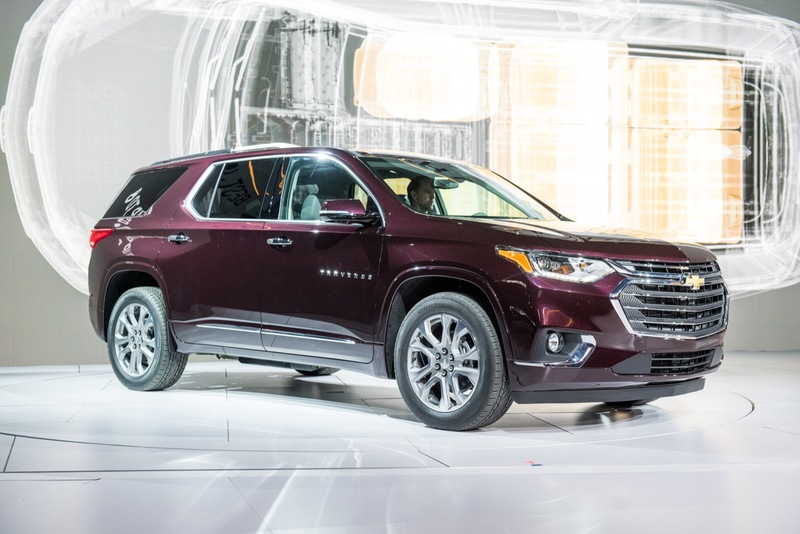 At the rear, the 2018 Traverse again takes cues from the Equinox, ditching its round rear for a squared-off one. 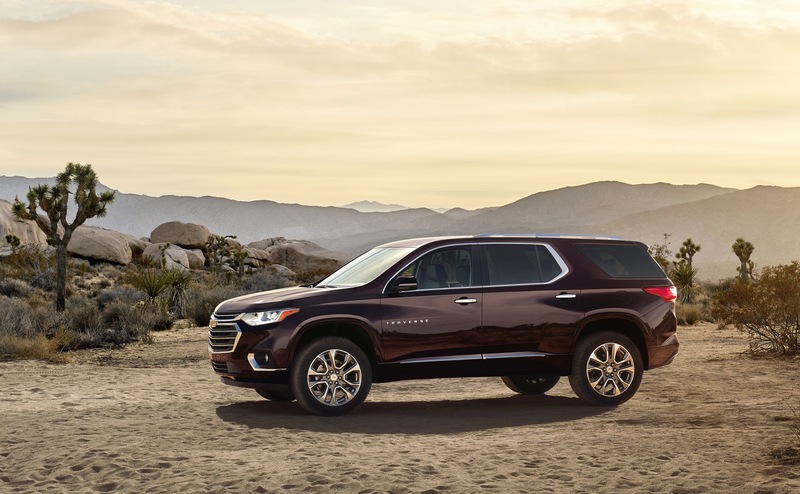 Speaking of the rear, the 2018 Traverse now features a Chevy bowtie logo lamp, which illuminates the ground for the driver to activate the hands-free power liftgate. 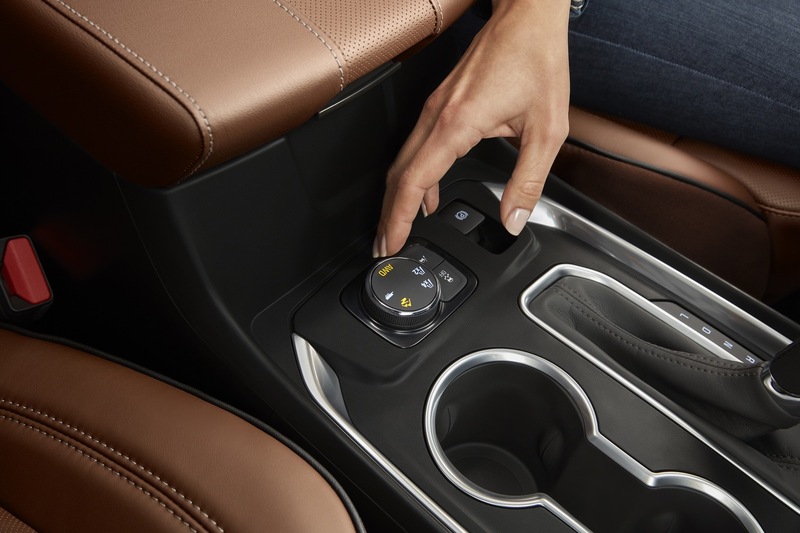 It’s just one of the many new features to enhance the functionality and convenience of the 2018 Traverse. 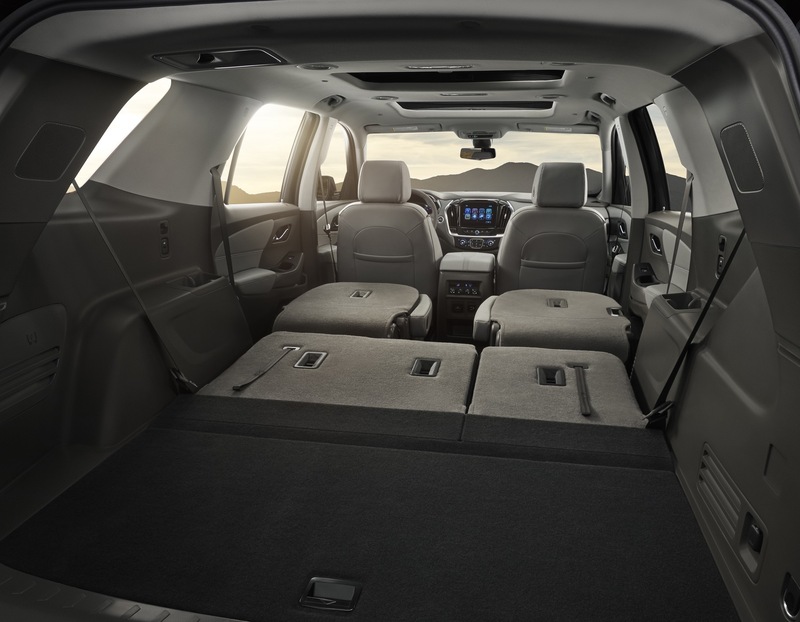 The longer wheelbase also houses what Chevrolet hopes to be the segment’s best passenger and cargo space at 98.5 cubic feet with a split folding second-row seat. 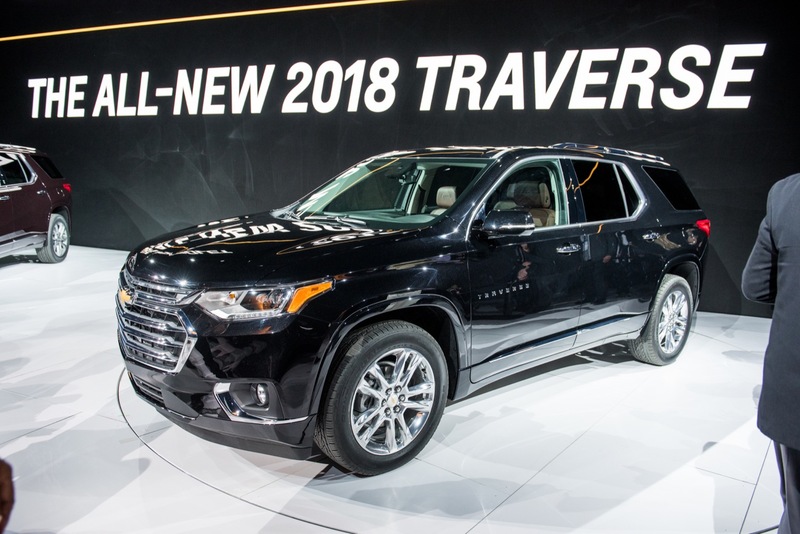 As for powertrains, the 2018 Traverse will be powered by a 3.6-liter LGX V6 engine, but General Motors’ 2.0-liter LTG turbocharged four-cylinder engine will be available. 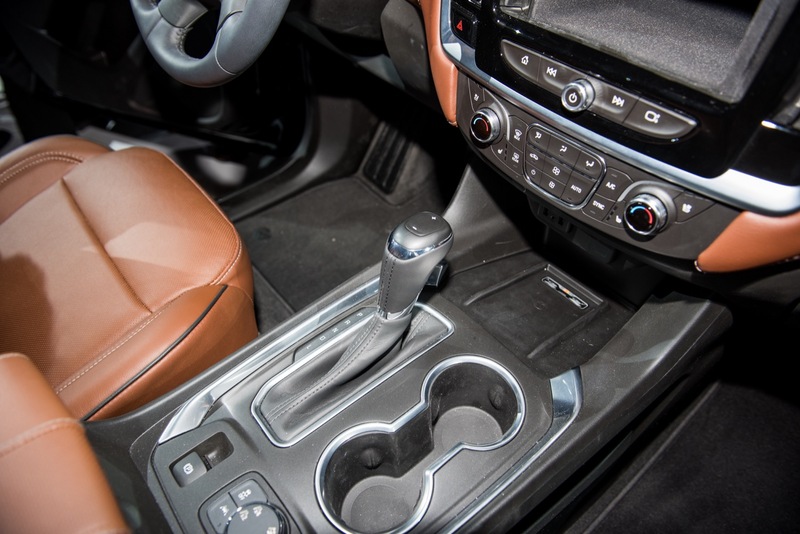 Both engines will be mated to the automaker’s all-new nine-speed automatic gearbox. 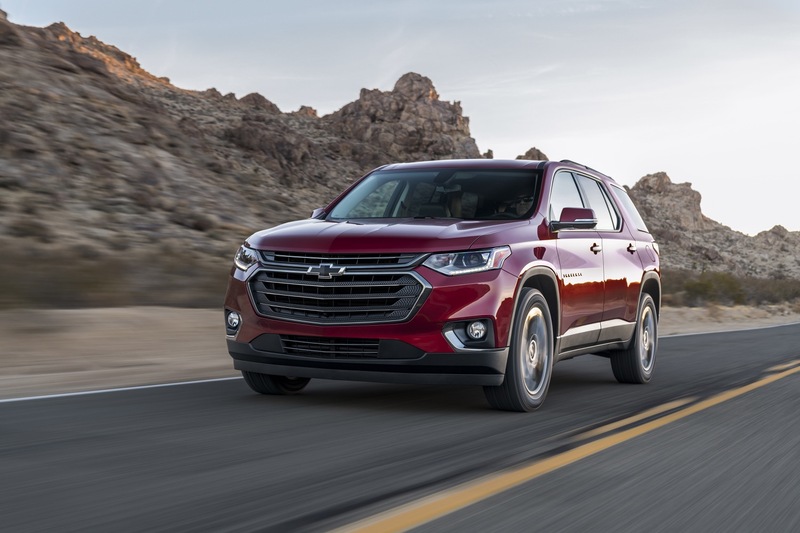 But, unlike the 2018 Chevrolet Equinox, there is no diesel powertrain available. Boo. 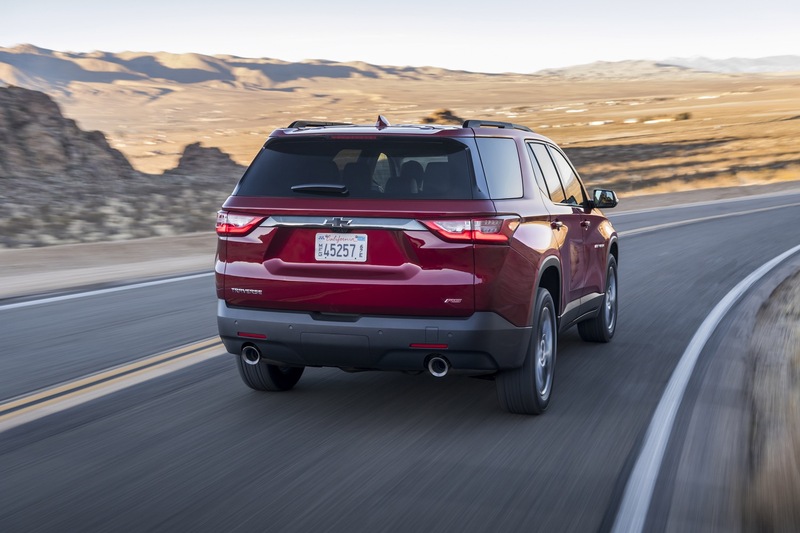 But we can forgive the Traverse for other improvements. 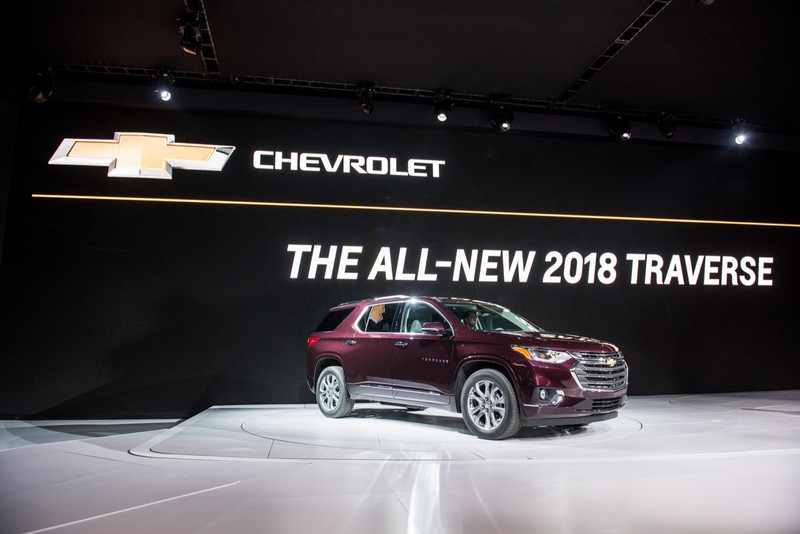 Both the V6 and turbocharged four-cylinder will be equipped with a standard start-stop system to enhance fuel economy, as is a Traction Mode, which allows for drivers to make real-time adjustments to the vehicle’s driving mode. 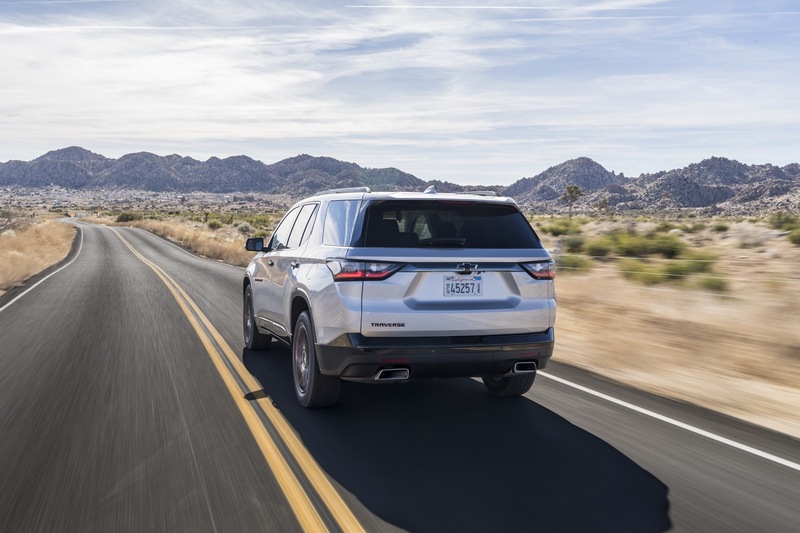 For greater fuel efficiency, all-wheel drive models will feature the availability to disconnect the system to operate as a front-wheel drive vehicle to further increase fuel economy. 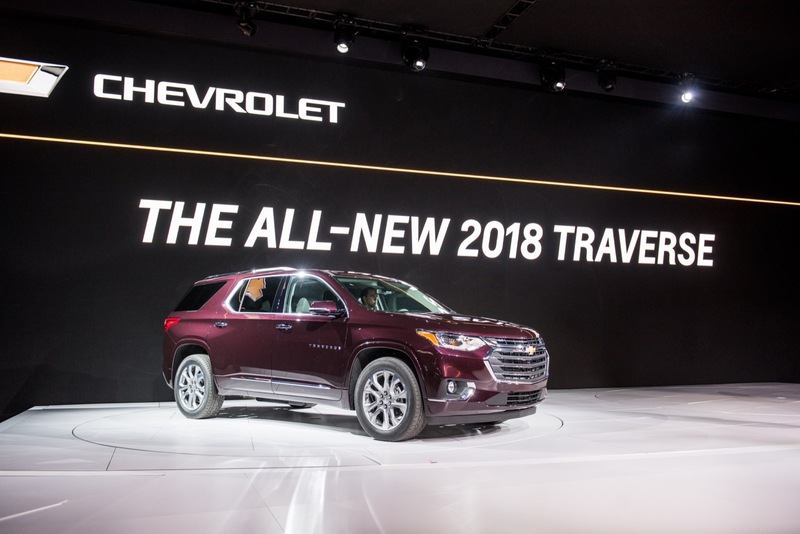 Other notable features to the 2018 Chevrolet Traverse are two all-new trim levels; Chevy will introduce a High Country and RS trim level, the latter available exclusively with the 2.0-liter four-cylinder turbo engine. 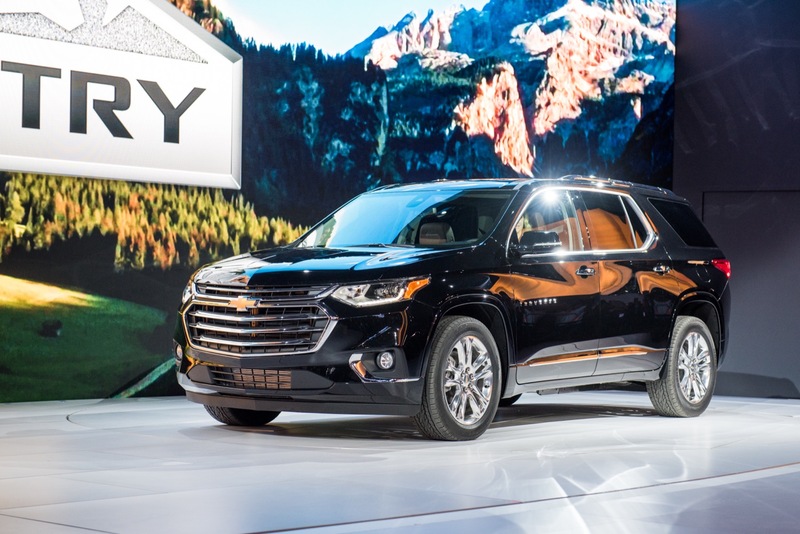 The 2018 Chevrolet Traverse will go on sale this fall with its incremental updates and new trim levels as it looks to dethrone its full-size competition. Wow. 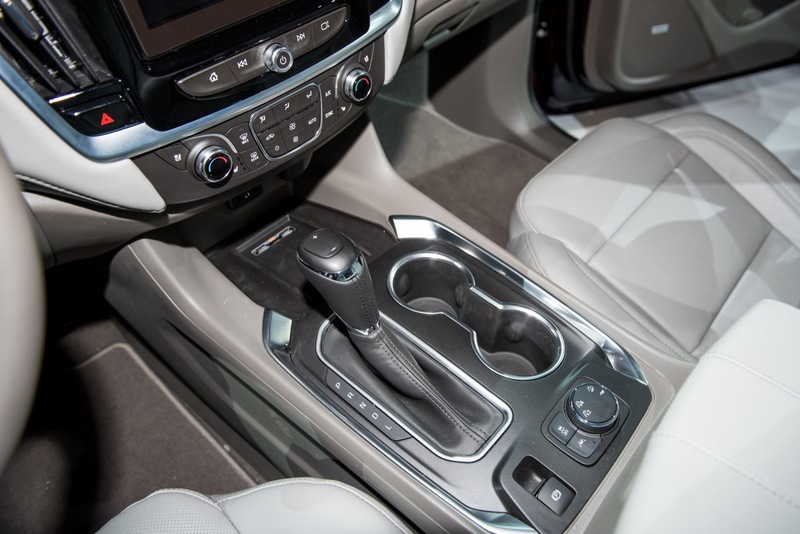 I was wondering how they were going to incorporate the Malibu design cues and have to say I like what I see. I like that they made it more muscular and less round. Great job!! Yes! Yes! Yes! This will be a Grand Slam! To me. 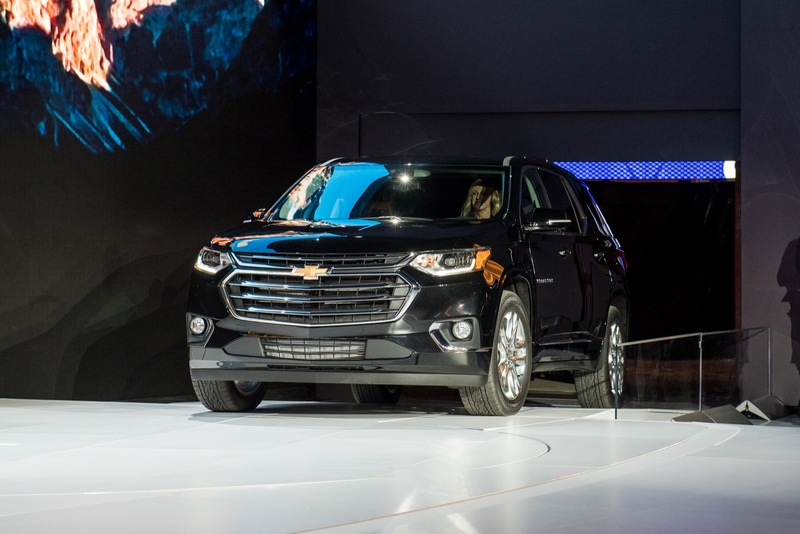 It looks like a mini Tahoe with an Equinox front end. 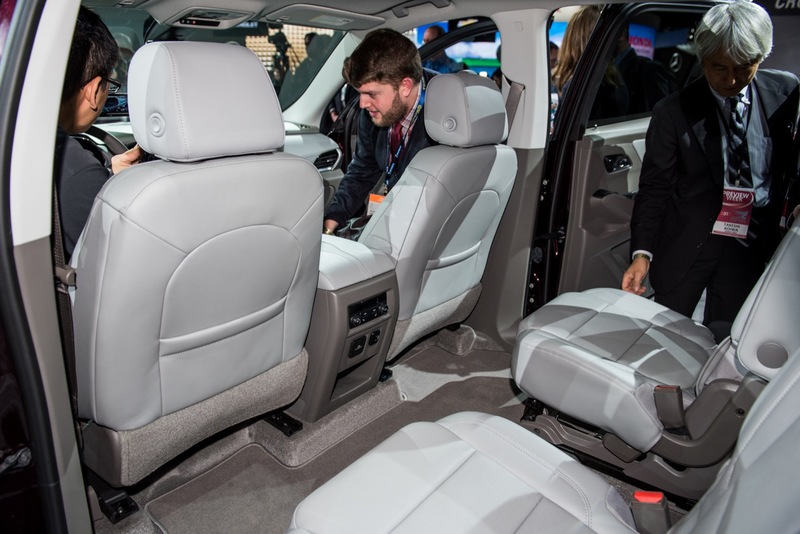 But it looks like a great vehicle that should sell good. And that is exactly why I like it. Fresh but still familiar in a very good way. 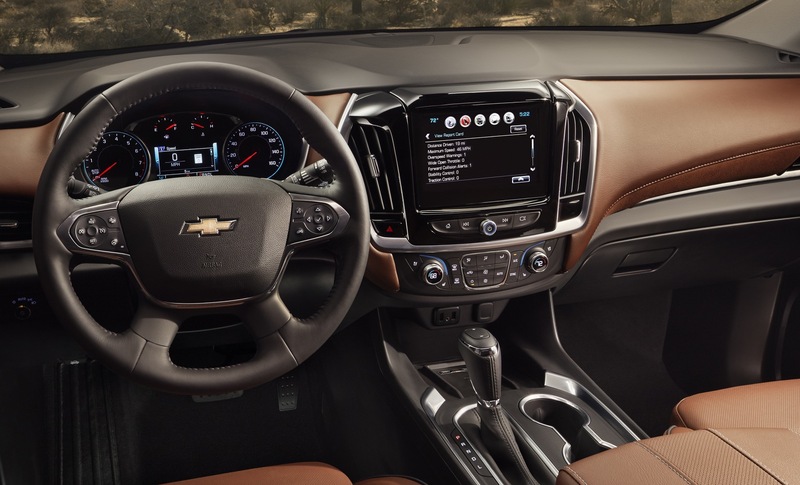 I can even see the Impala in it. 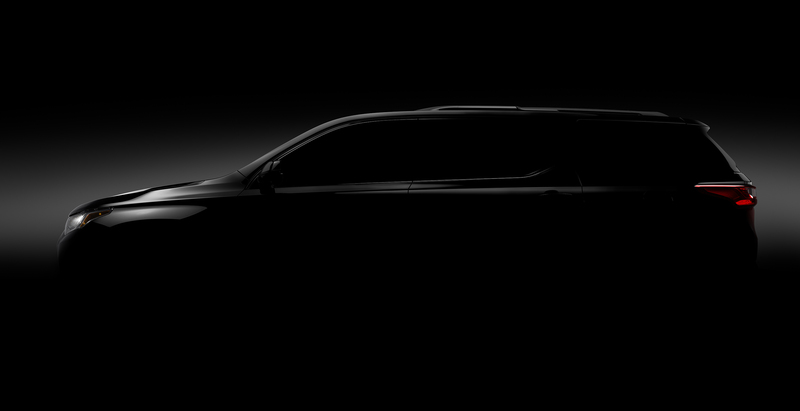 This is way better than GMC’s 2018 Terrain reveal. 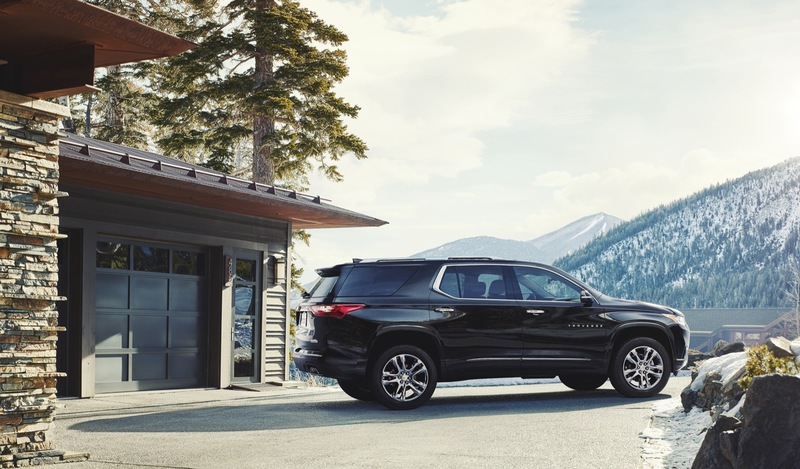 Nox meets Tahoe. 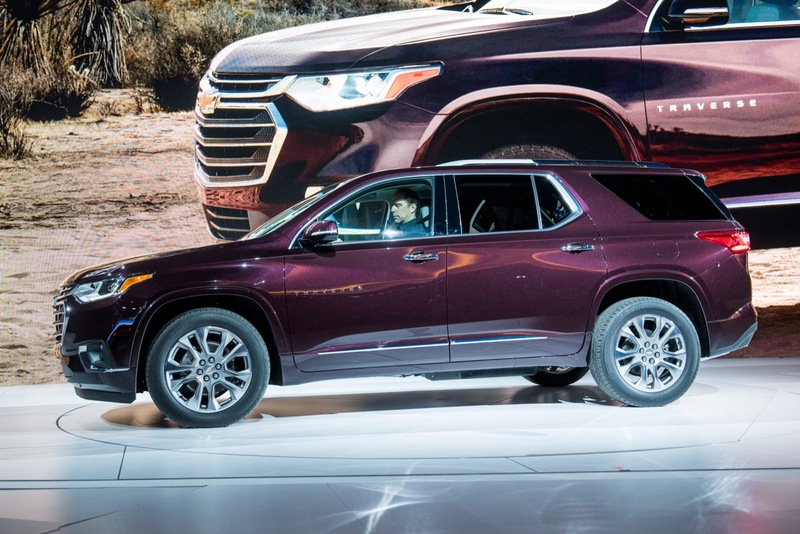 They taken this from looking like an over sized Mini Van and made it look more like a Tahoe. Nice over all. Not crazy over the nose but it is acceptable. 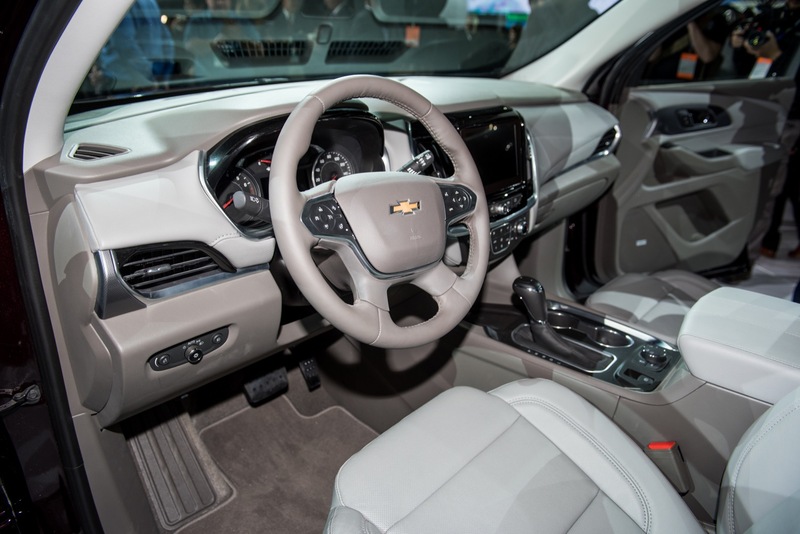 GMC will show a similar long wheel based model of the Acadia soon and I would not be surprised if Chevy offers a Short Wheel Base of this too. 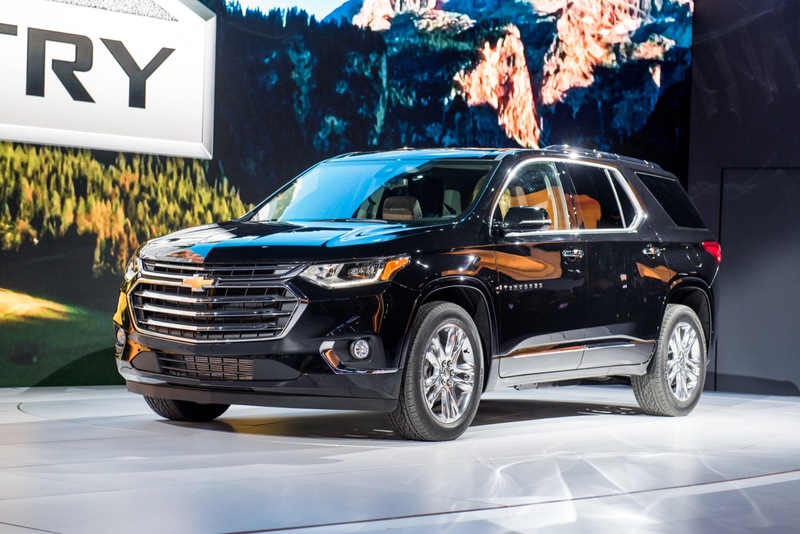 Now lets hope it sells as well as the last and not like a Durango. 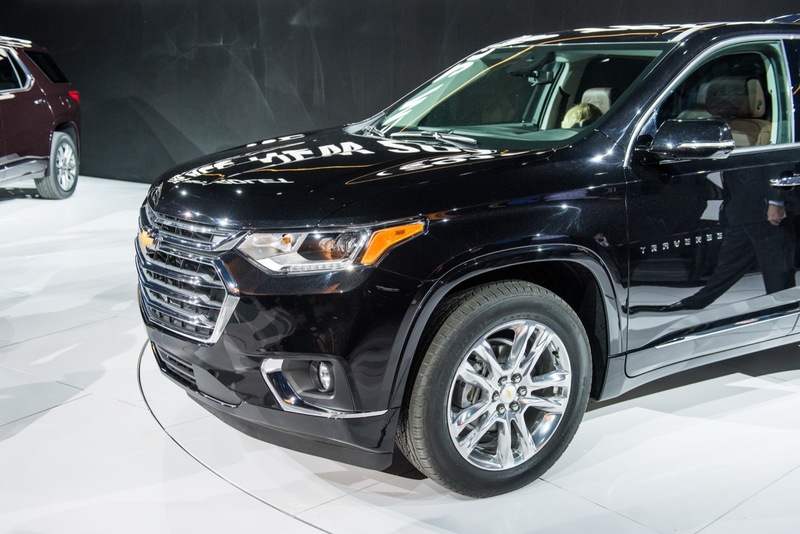 This will replace my GMC Acadia, I have a large family and this should be priced below the Suburban price range. 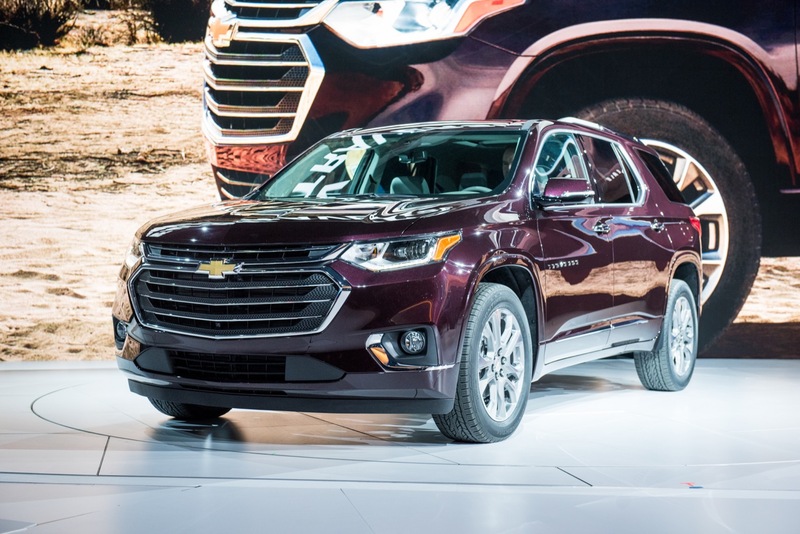 Design is more aggressive and the selectable AWD/4X4/2X4 is long overdue and a great feature. I think it looks pretty good. Definitely consider purchasing one. But please can we get rainforest green! 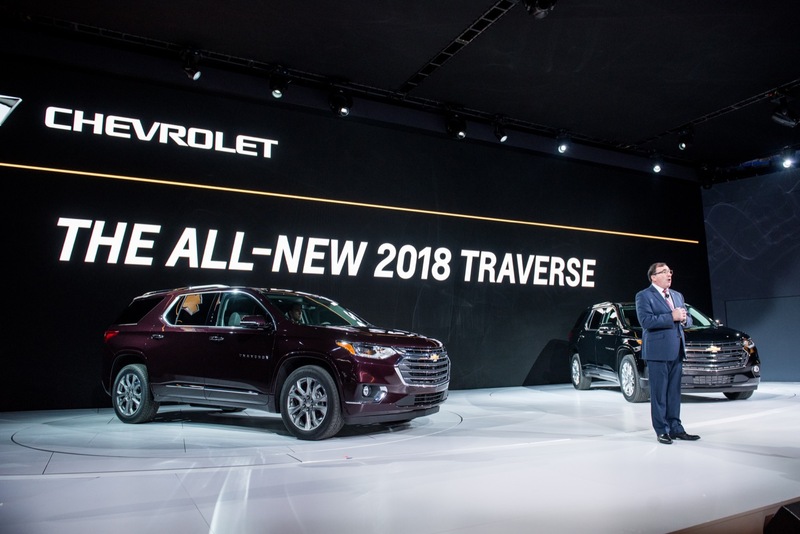 The outgoing Traverse was weak in the looks department, but sales figures were very good. 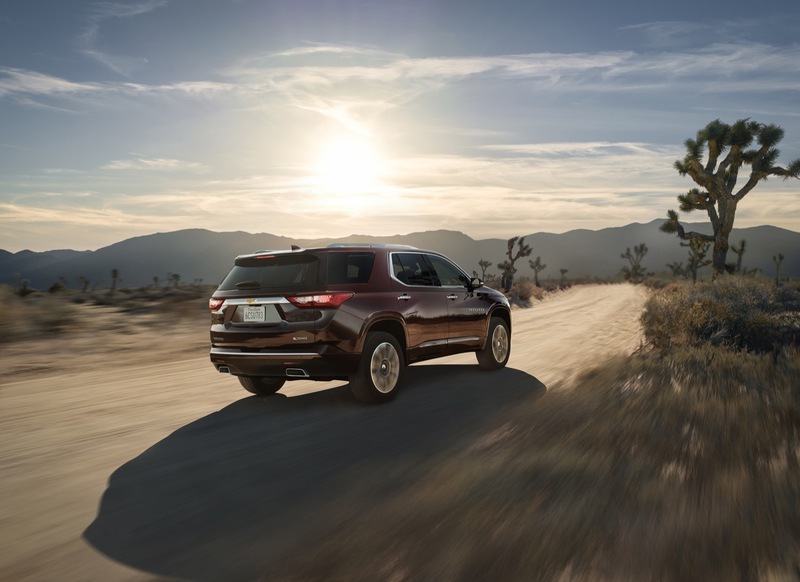 This new model moves far away from the existing appliance look, and transitions into a functional sport style crossover. 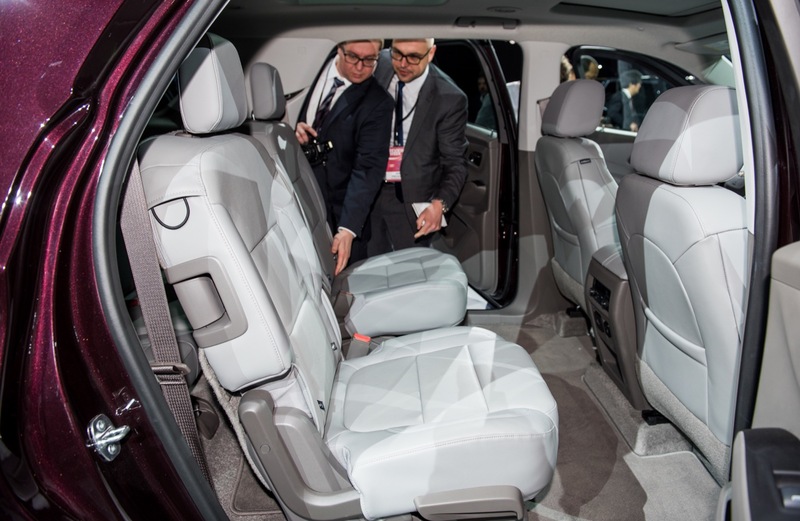 This new look will attract a more thoughtful type of buyer. 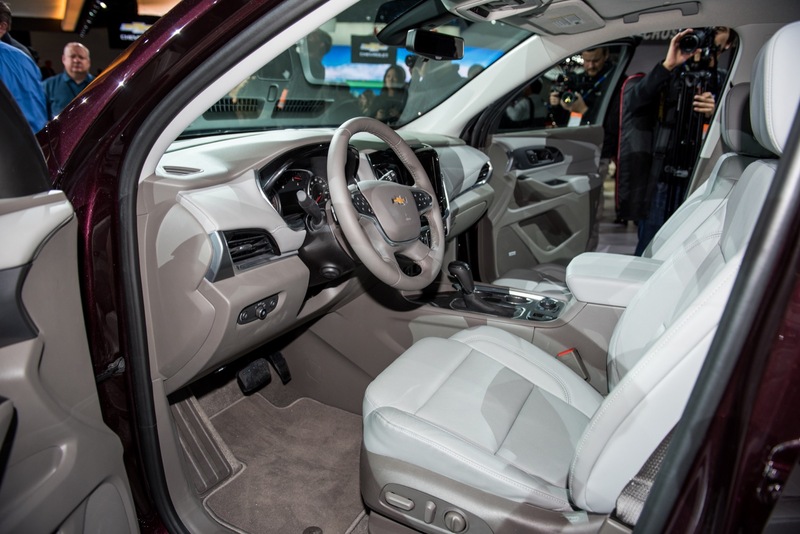 One who cares about the looks and engineering of the new Traverse. 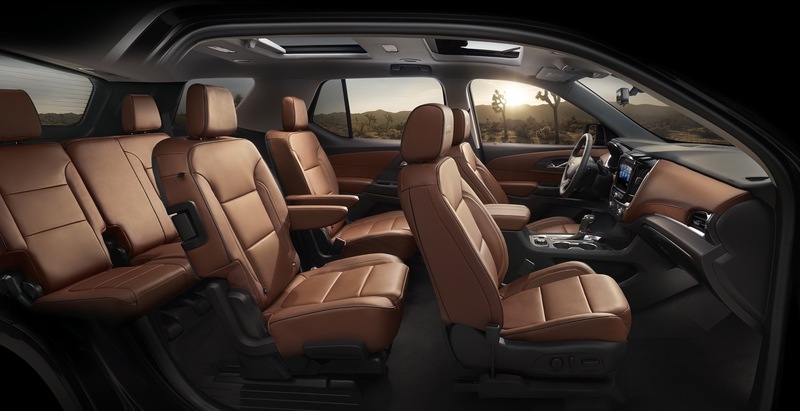 From front to back, all the lines work well together. 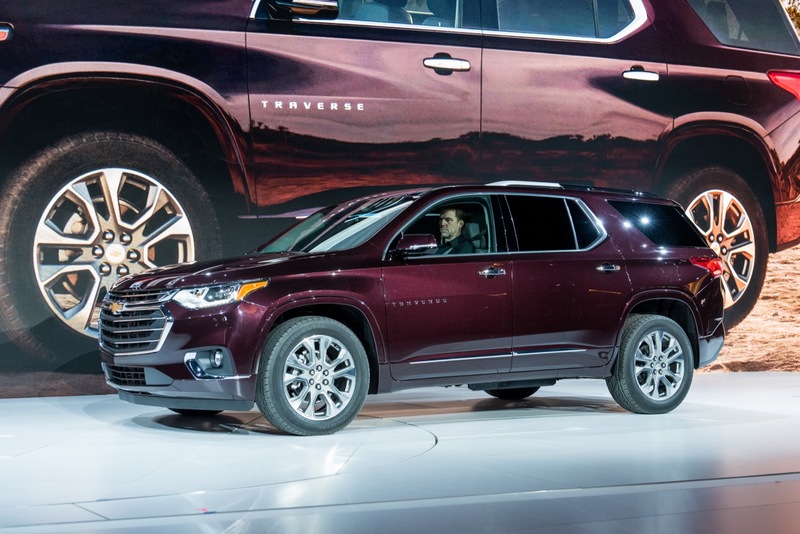 The Buick Enclave and a new Cadillac of the same platform, will soon follow. 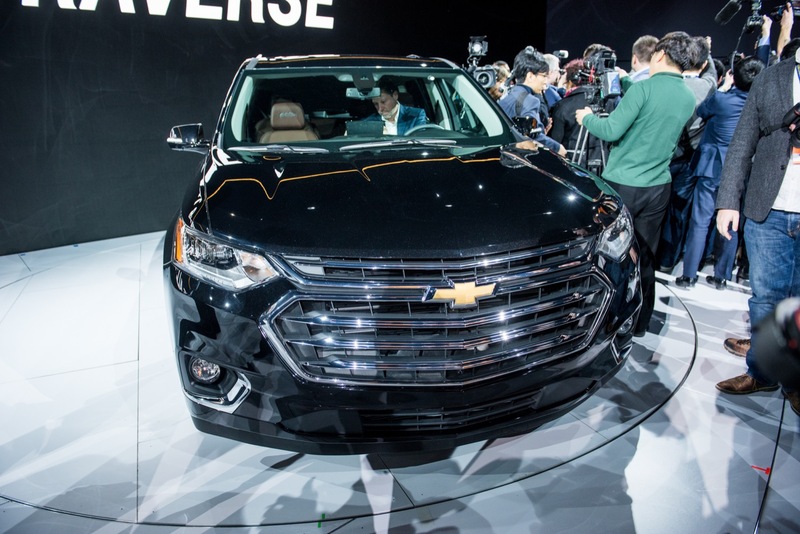 GM is now gaining big traction in the crossover SUV segments. I love the profile and rear 3/4 shot! 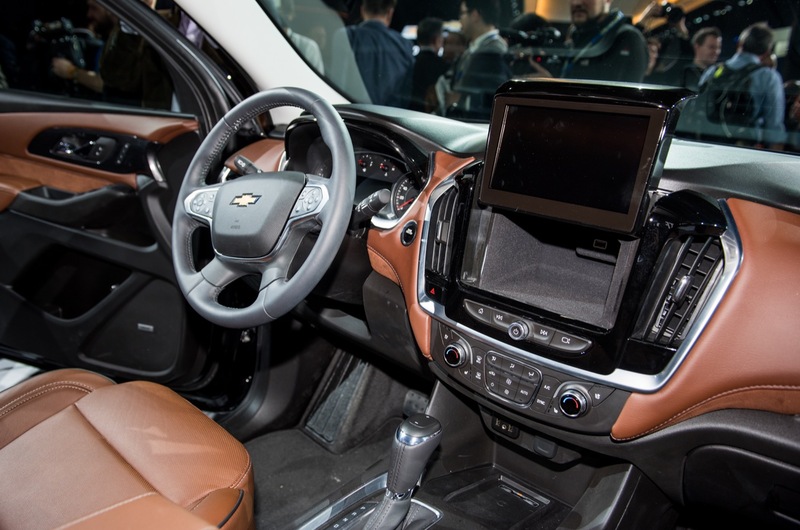 Front end is questionable right now but I’ll wait to see live photos and the vehicle in person. 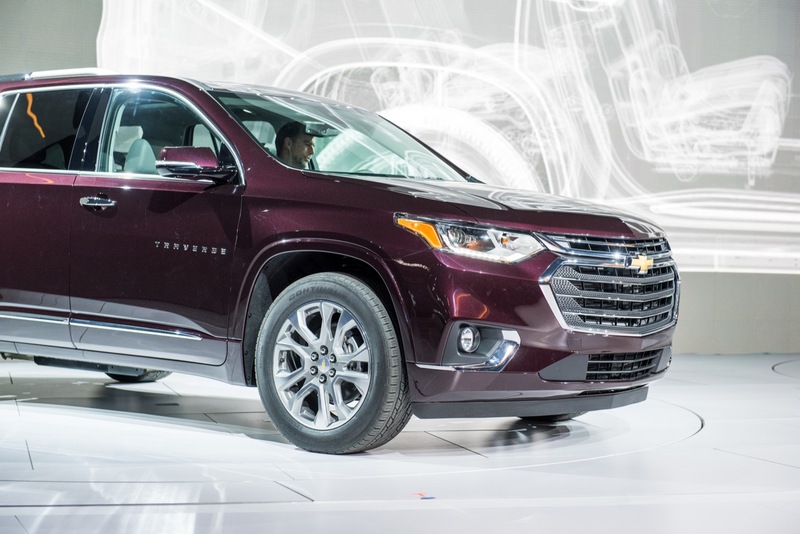 So much more SUV like, and no more minivan. Thank god. 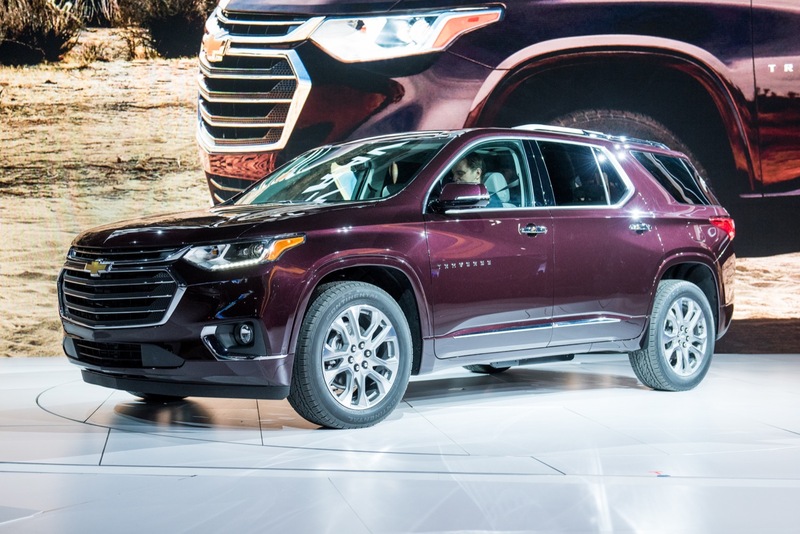 It looks like a truck this time even if a Tahoe rear ended an Equinox to do it. 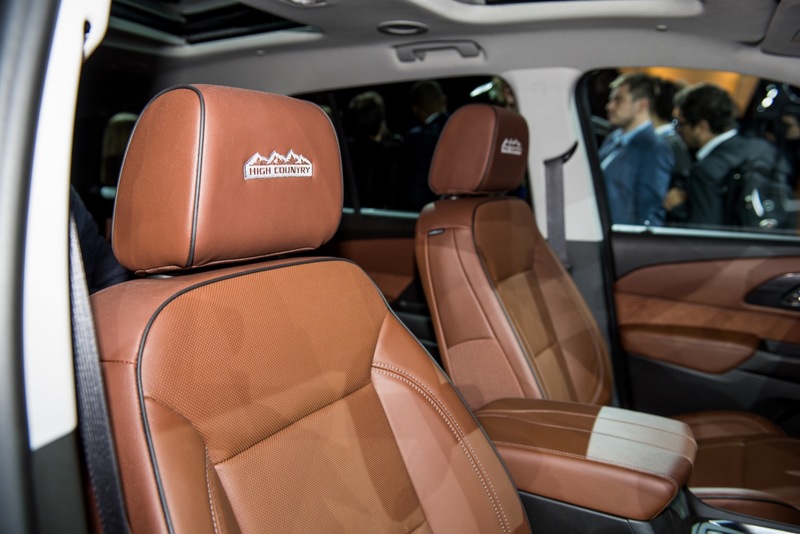 I do like it and the inside is real nice. 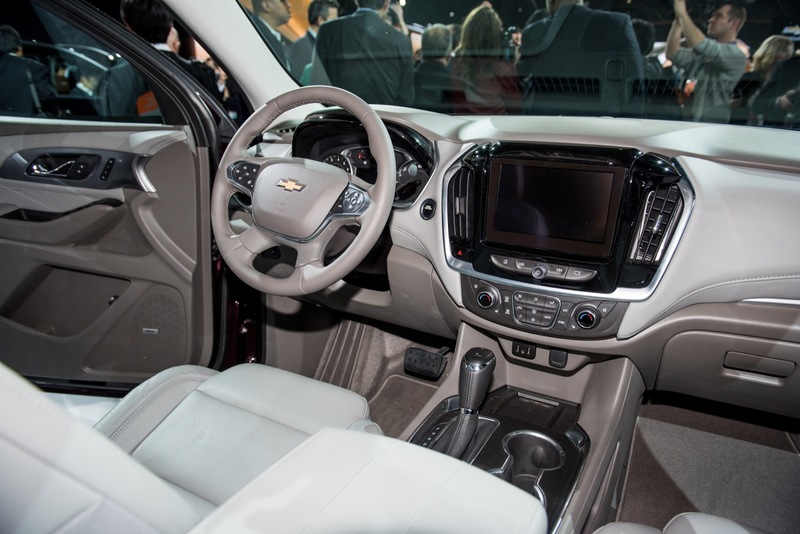 It has a masculine stance for a crossover which I love. 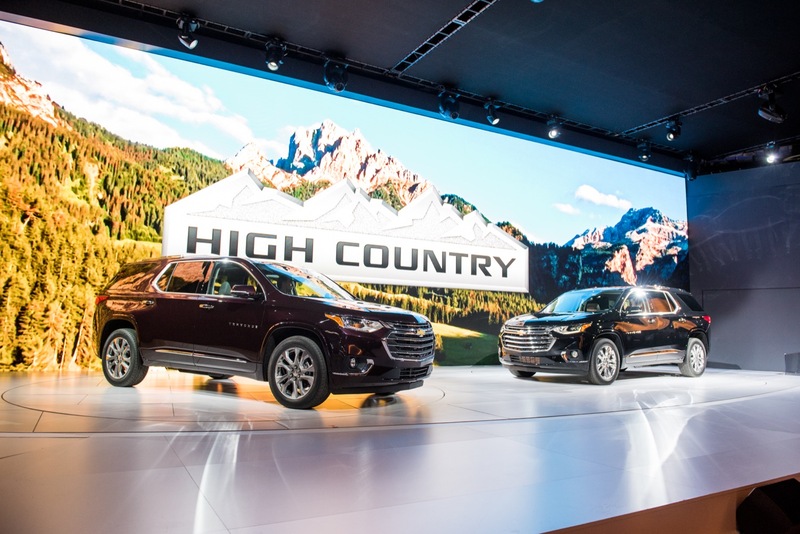 Also excited that High Country trim will work across the Chevy lineup- should be lucrative in the “fly over states” with limited access to other premium brands. RS model is only FWD! That cuts sales off to half population that experience Winter conditions and do limited rural travel! 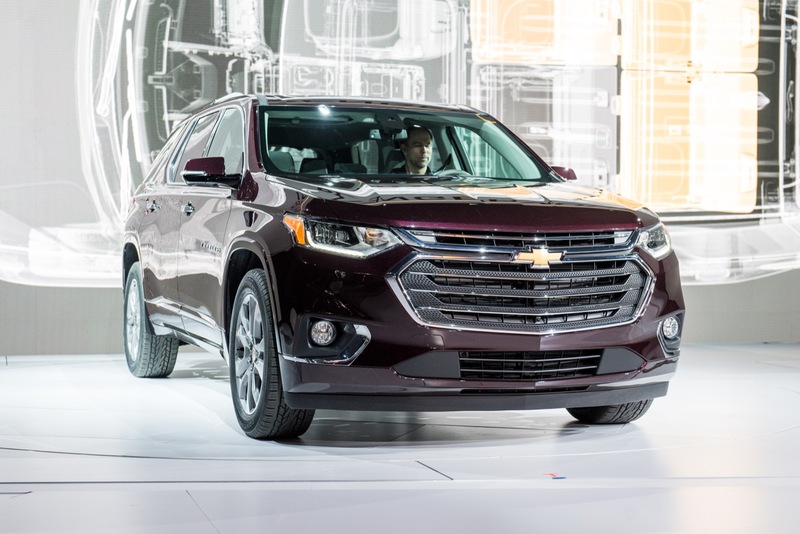 Chevrolet is always thinking ways to limit sales in trim levels. They overkill it with the RS FWD that for sure! 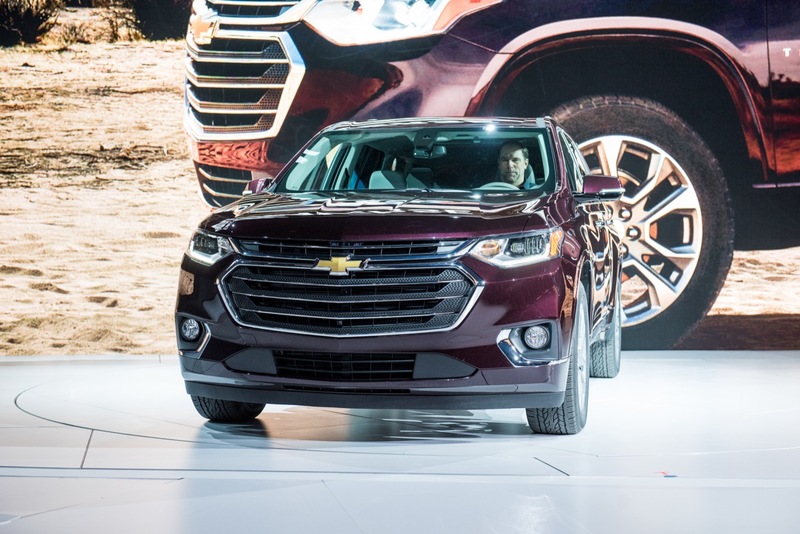 This face works SO much better on the new Traverse than on the new Equinox or Malibu! 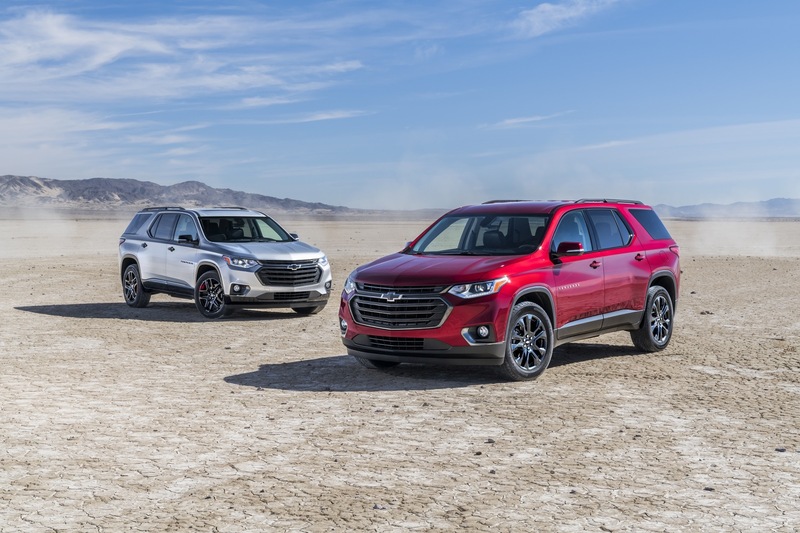 Overall, the boxy shape and profile does wonders for the Traverse and really sets it apart from its GMC platform mates! 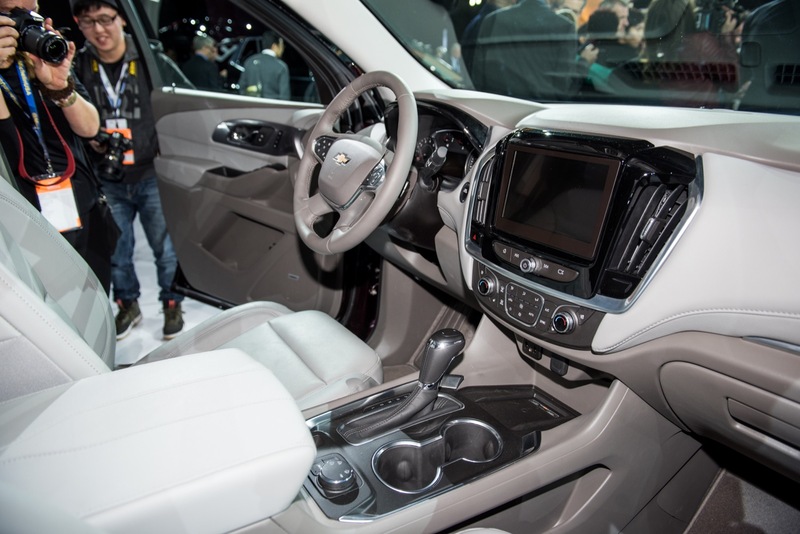 And that interior design is very well done! 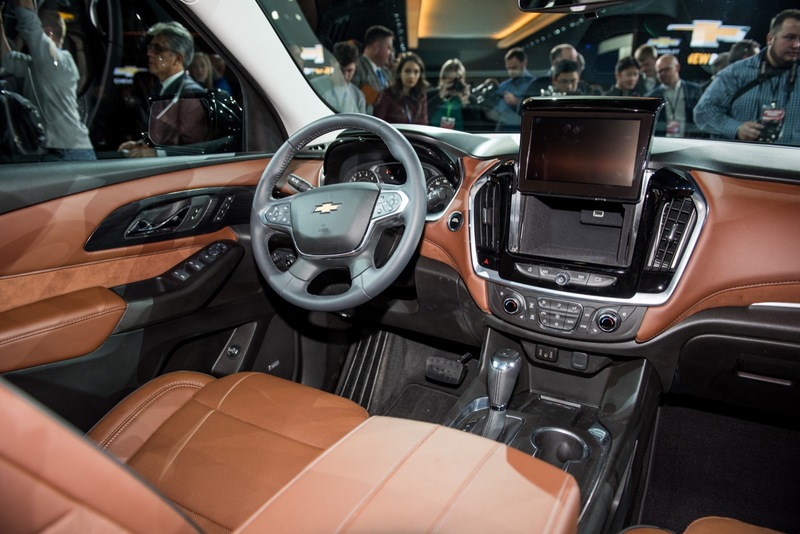 The most premium interior Chevy has to date! 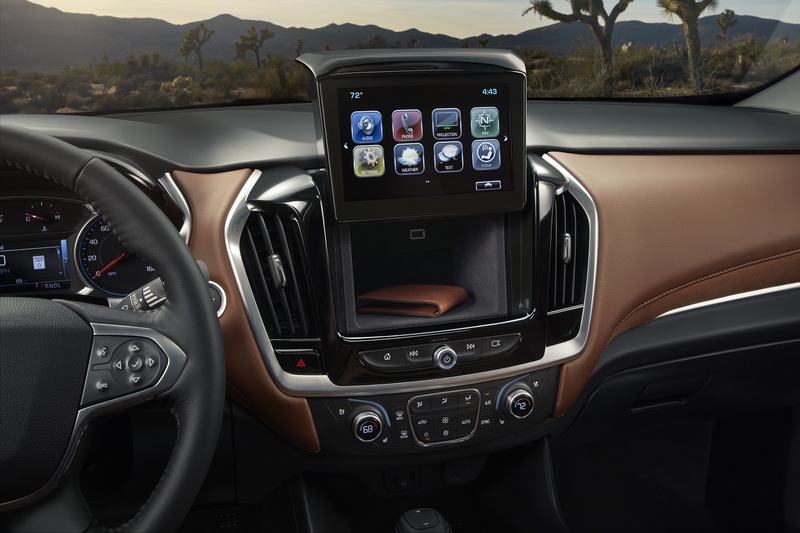 GM is certainly taking the premium CUV/SUV segment more serious than ever before with their latest offerings! 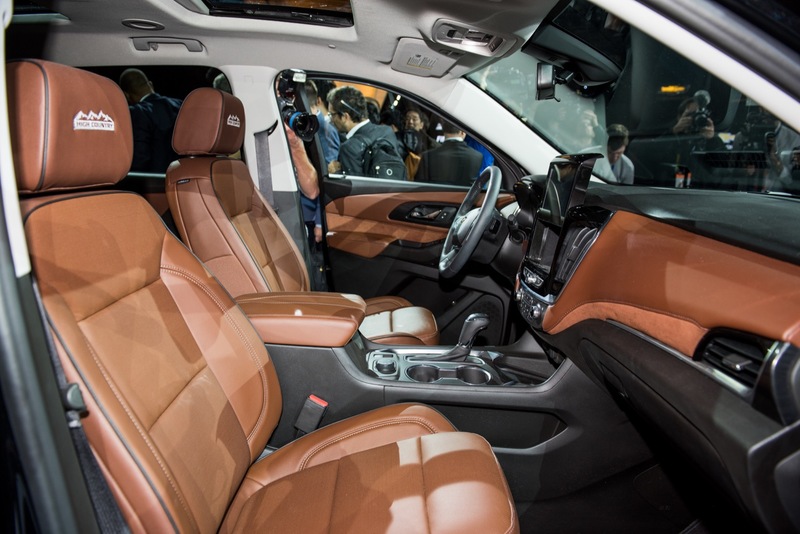 I don’t really care for all these FWD-based soccer-mobiles flooding the market, but I’m starting to eat those words with these SUVs. 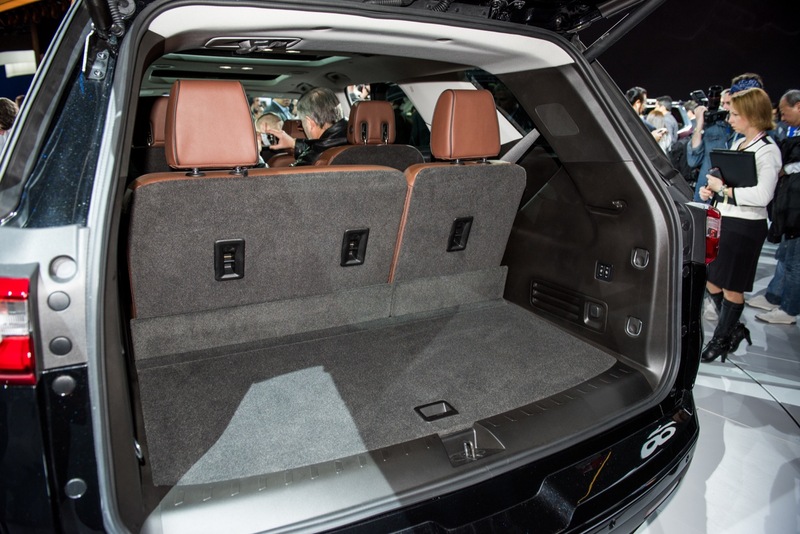 And call me crazy, but I’m curious about that RS trim and its turbo-4! Hopefully it delivers! 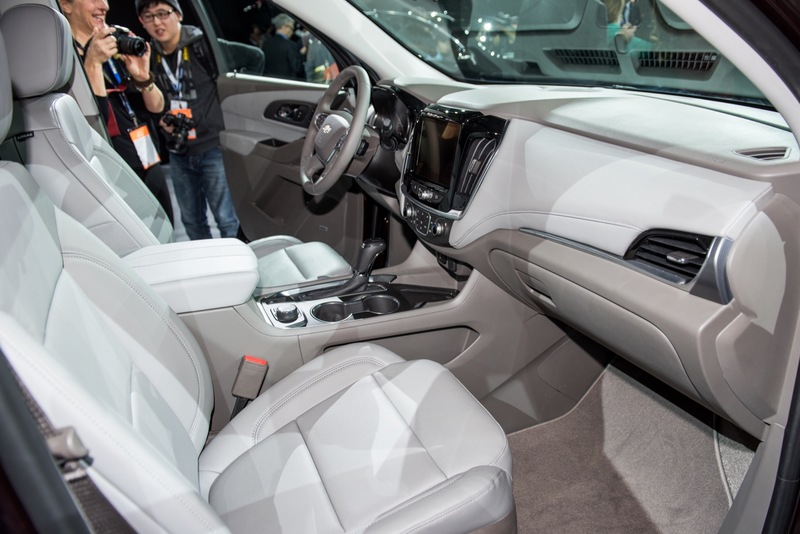 Also worth noting in these photos is that ground clearance looks to be up an inch. 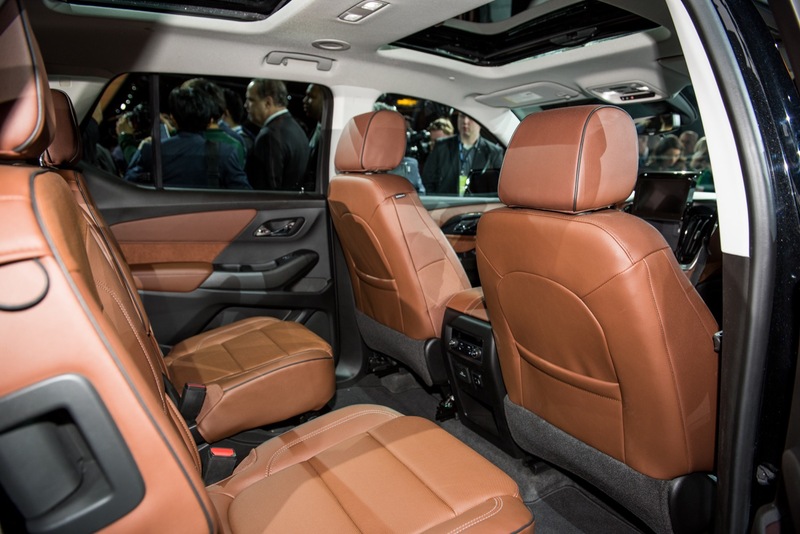 I’m not sure exactly, but looks much better and sportier. 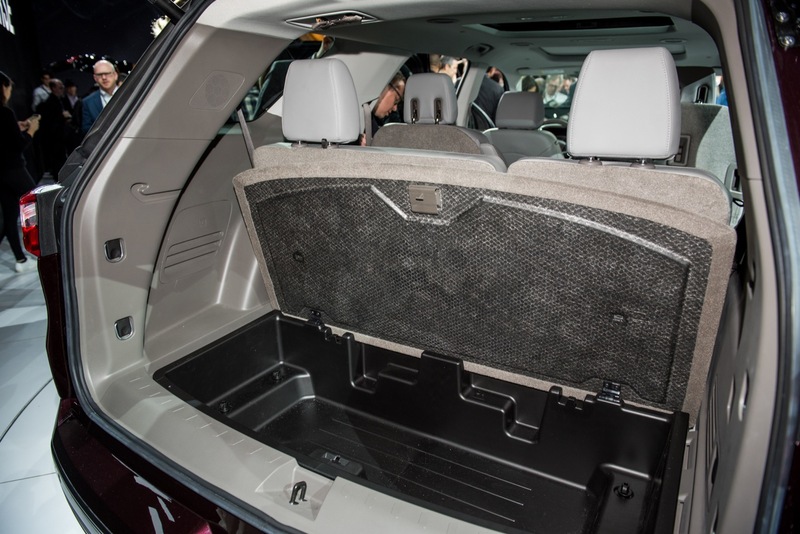 Lower body sills also look to be tucked and rolled under in a cleaner fashion. Much better than the current big box, being dragged along the ground look. This adds to the overall good looks.